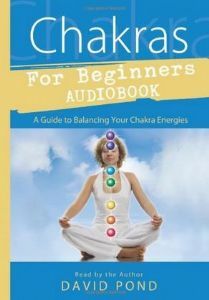 "Chakras for Beginners", which has sold more than 100,000 copies, is now available as an audio book. This unabridged audio edition uses everyday language to introduce the seven chakras. From making decisions to overcoming fears, you'll discover how each energy centre has an impact on daily life. Easy meditations and simple exercises will help you align these energies, overcome imbalances that block spiritual progress, and maximize health and well-being in all aspects of life. This four-CD set includes a supplementary 36-page booklet with simple instructions and illustrations.